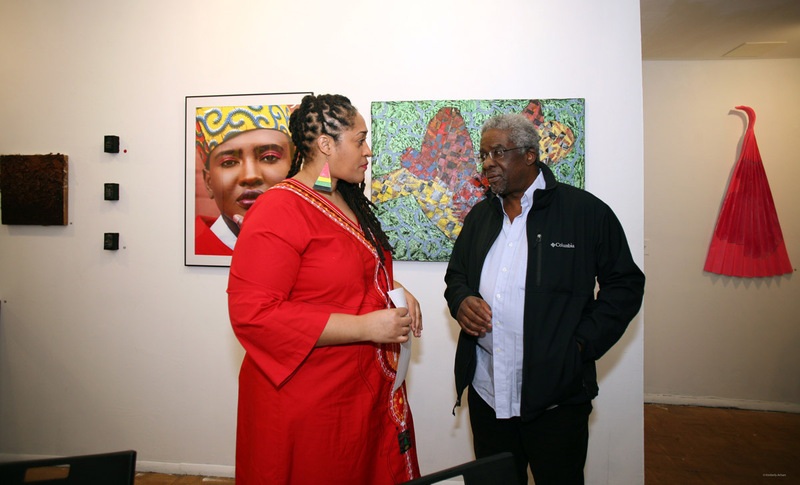 Lamerol A. Gatewood at the BAF Gallery Mixed Media Group Exhibition: Volume II 2018. 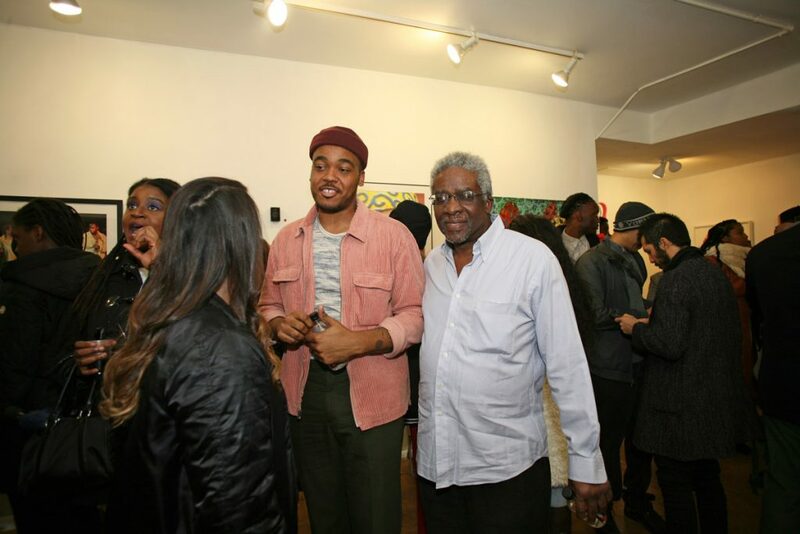 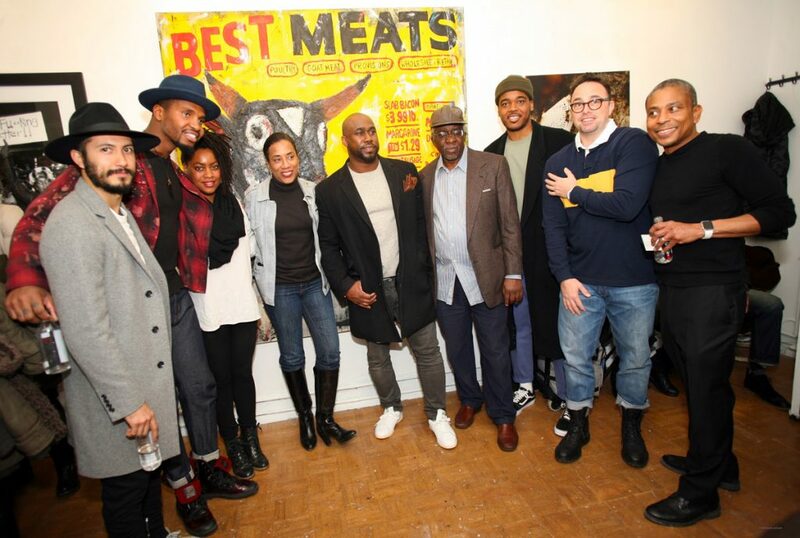 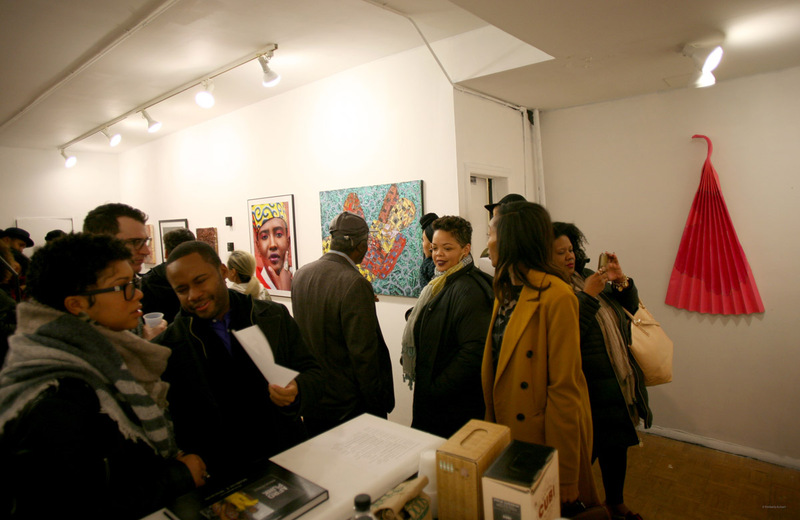 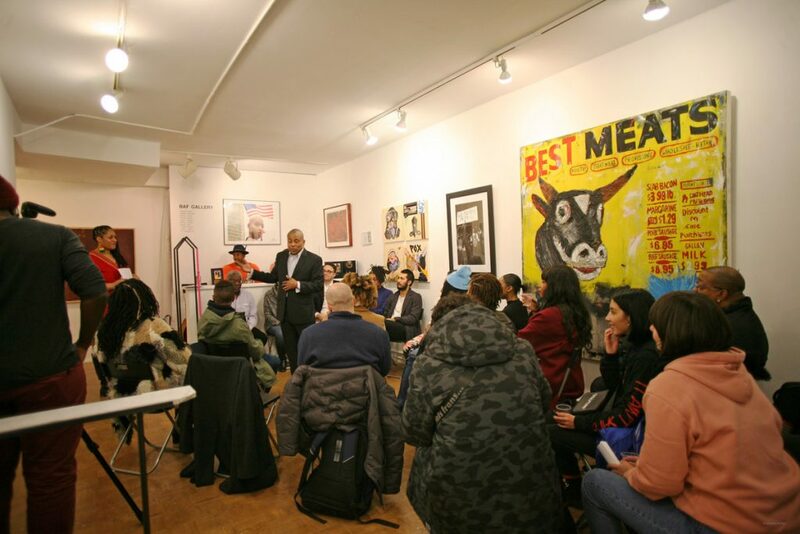 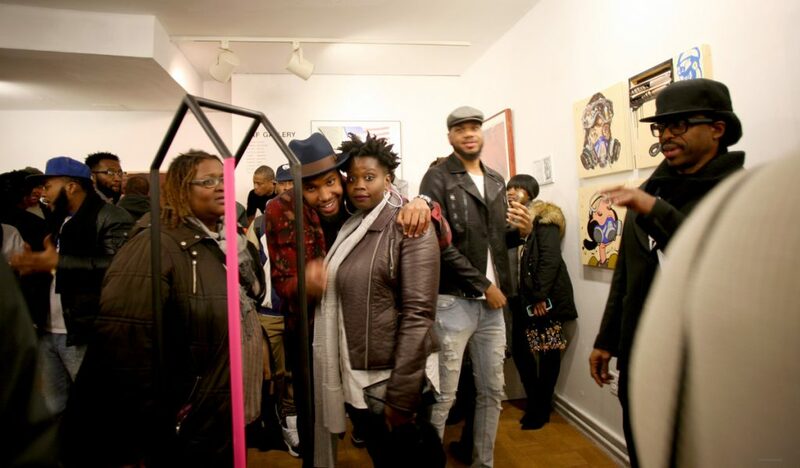 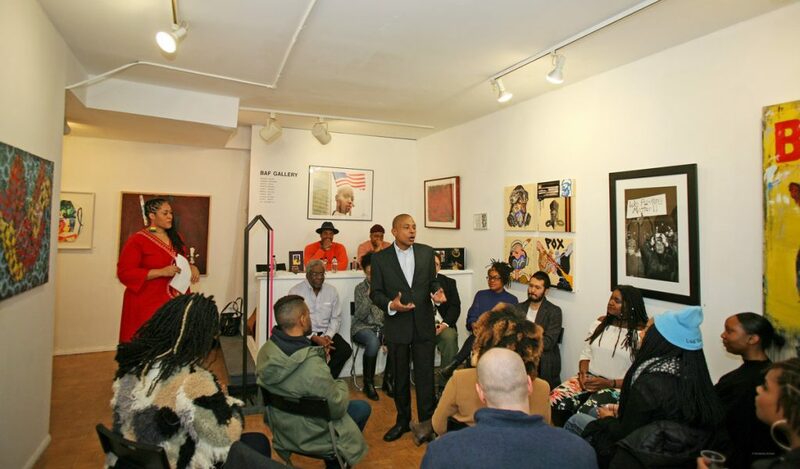 Aaron Simms, owner of BAF Gallery, Brooklyn, NY, Art Reception, January 20, 2108. 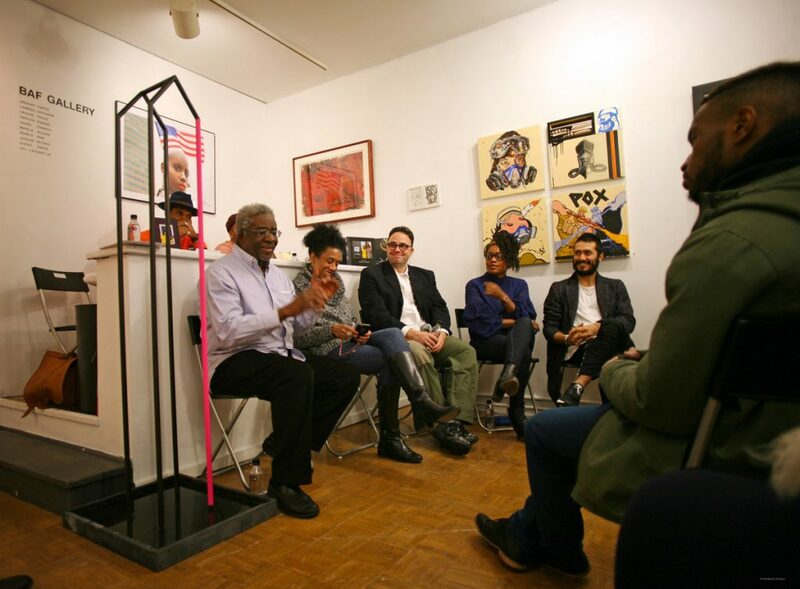 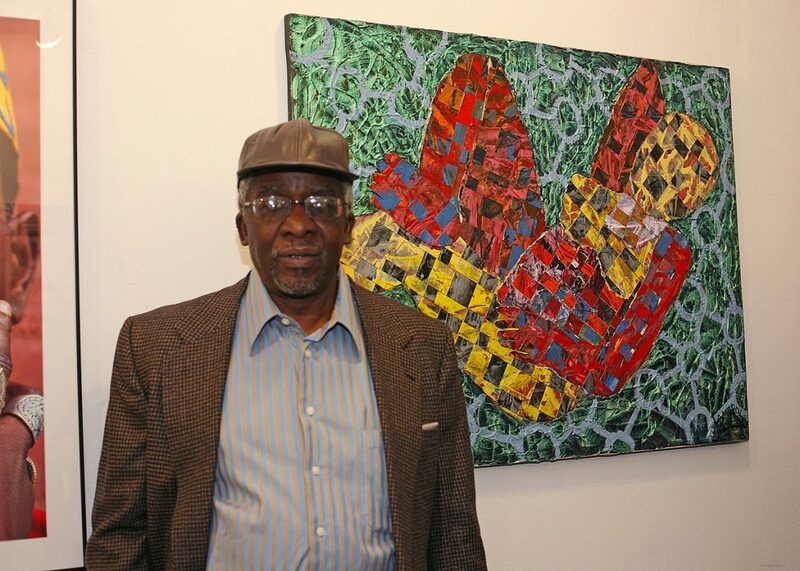 Lamerol Gatewood, standing next to his 1992 Collage on Canvas at BAF Gallery, Brooklyn, NY . 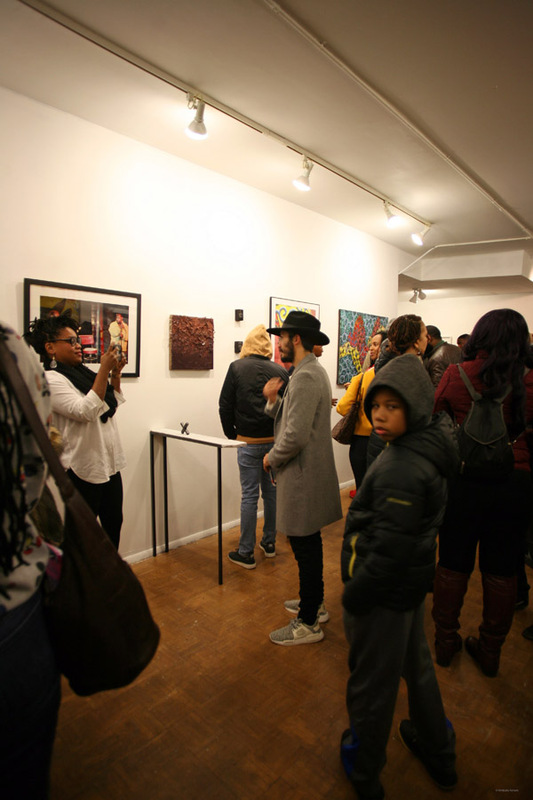 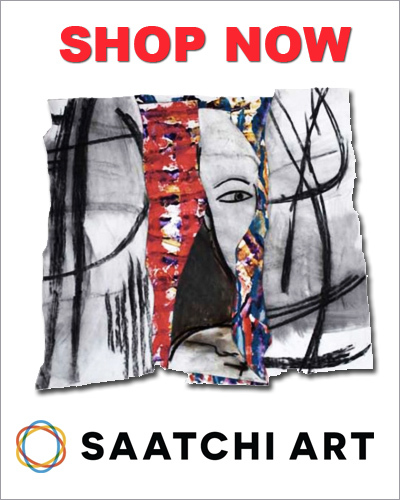 BAF Gallery Art Reception, January 20, 2018. Lamerol Gatewood, Troyan Teacu, and Kimio Uchida. 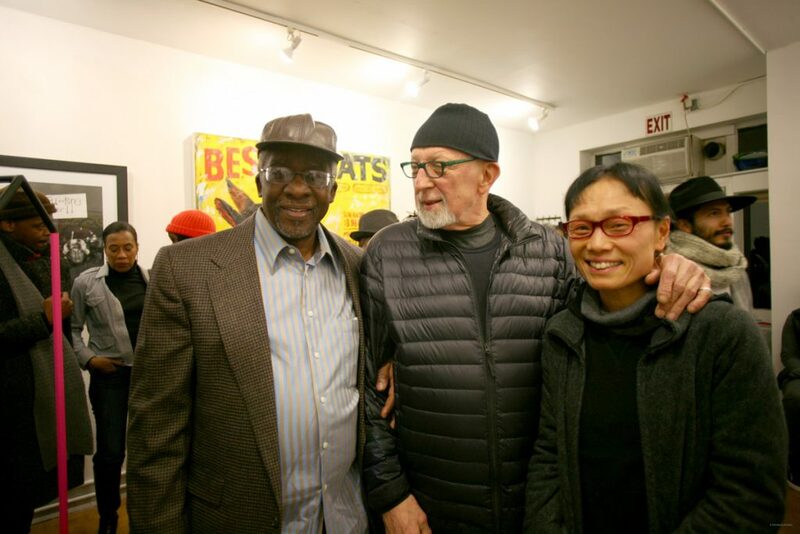 Lamerol Gatewood, Golda Peskin, and Willis Crenshaw. 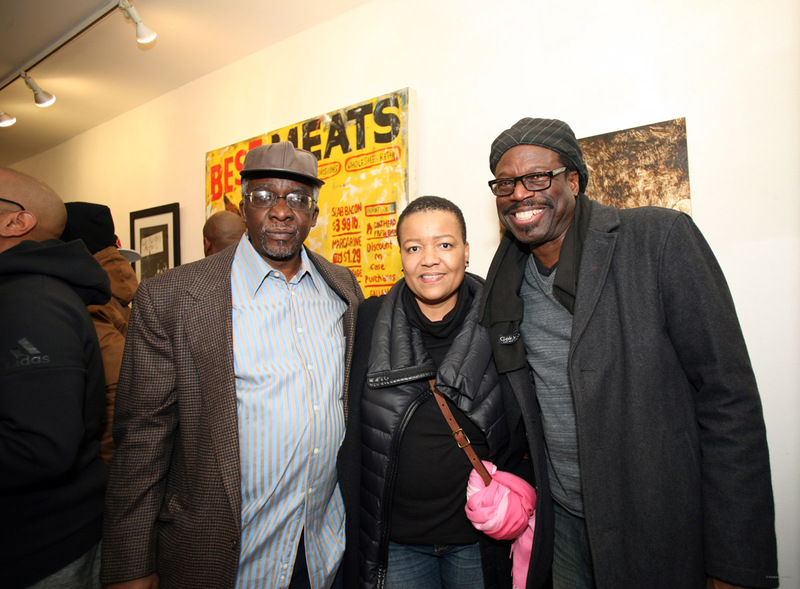 Vel LaForet, Jr., Aaron Simms, and Marcia Wilson. 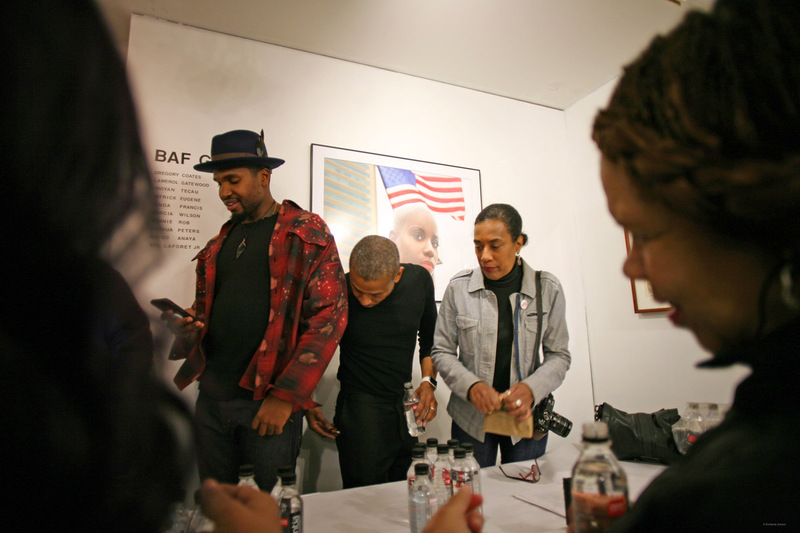 Tanda Francis taking photograph of Diego Anaya. 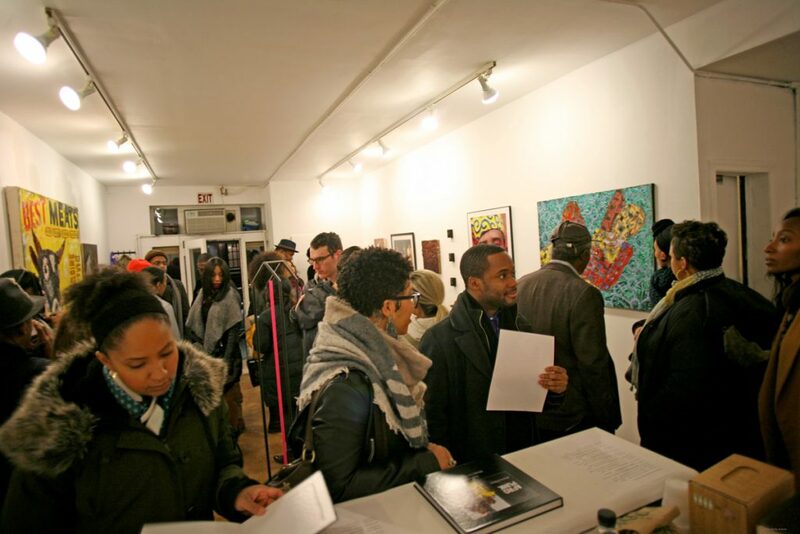 Group Photograph of all artists exhibiting. 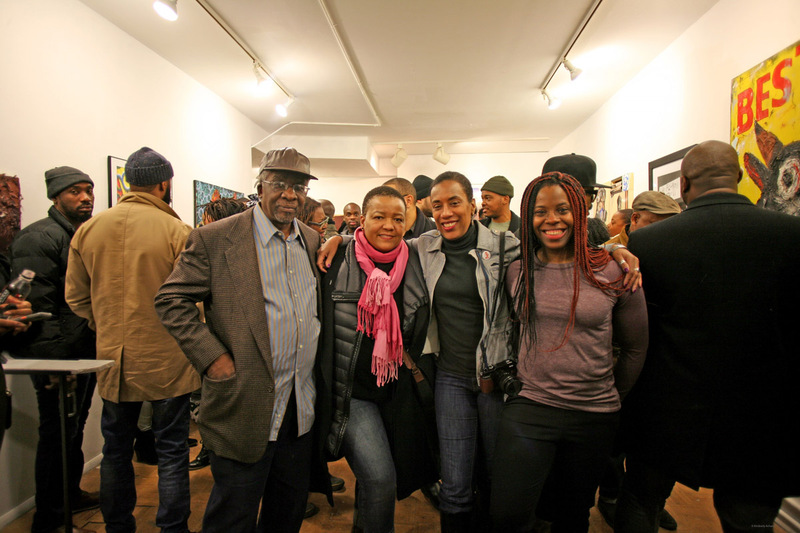 Lamerol Gatewood, Gwyneth Evans, Marcia Wilson. 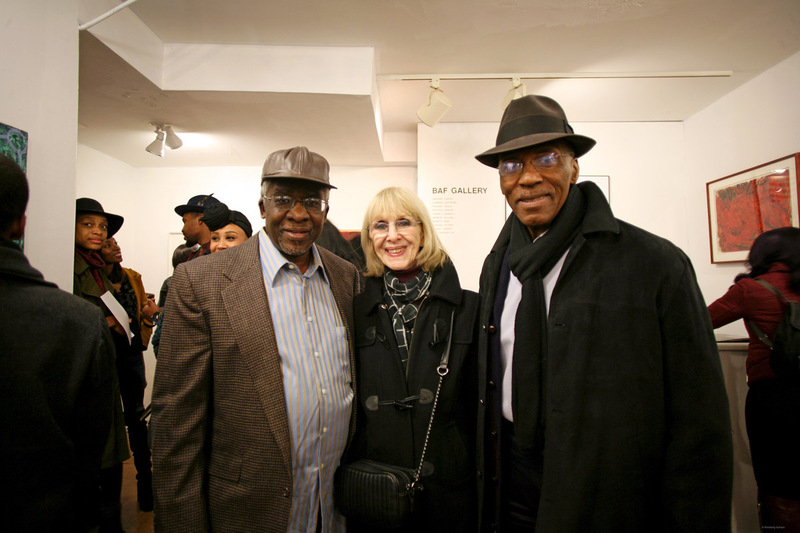 Lamerol Gatewood, Gwyneth Evans, Reed Hadley. 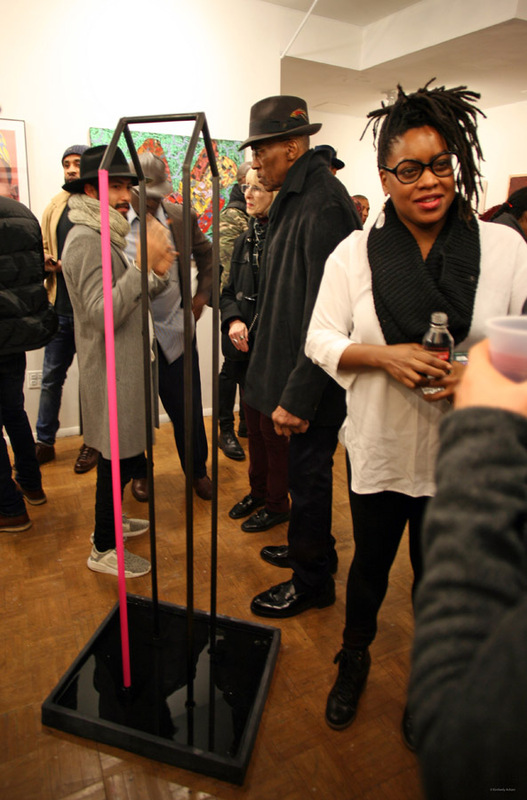 Tanda Francis, w. mini sculpture over right shoulder, and Lamerol Gatewood. Keishia Gaye Anderson, and Lamerol Gatewood. 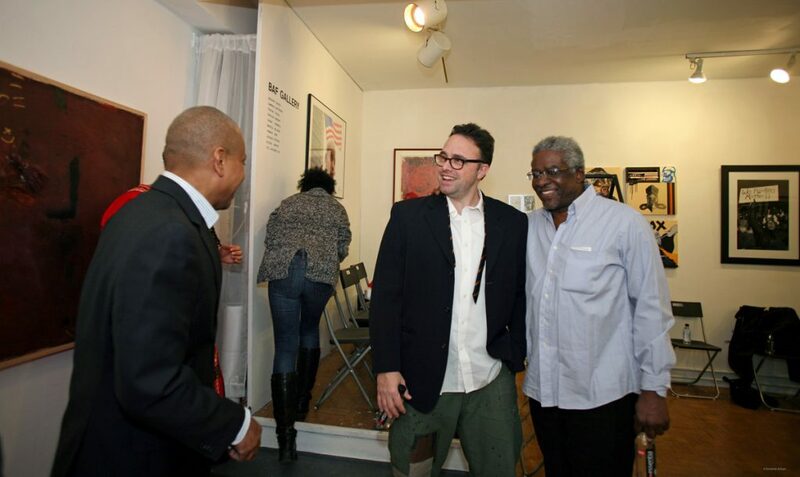 Aaron Simms, Joshua Peters, and Lamerol Gatewood. 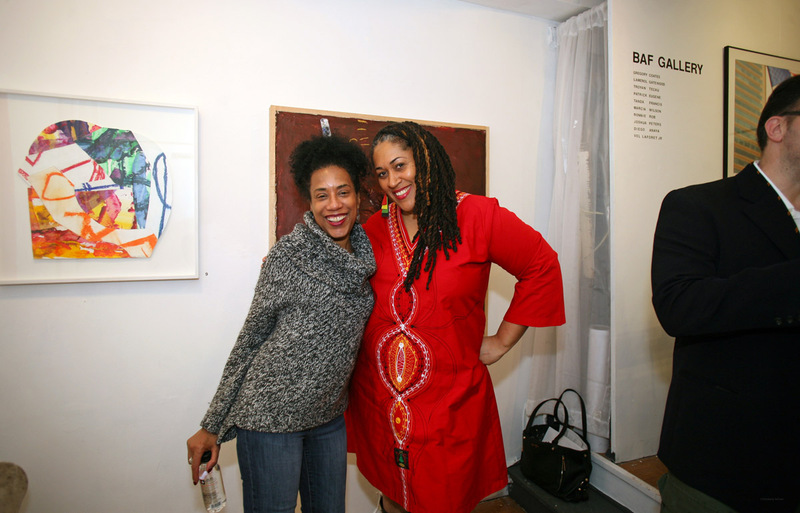 Marcia Wilson, and Keishia Gaye Anderson, next to a collage by Lamerol Gatewood. 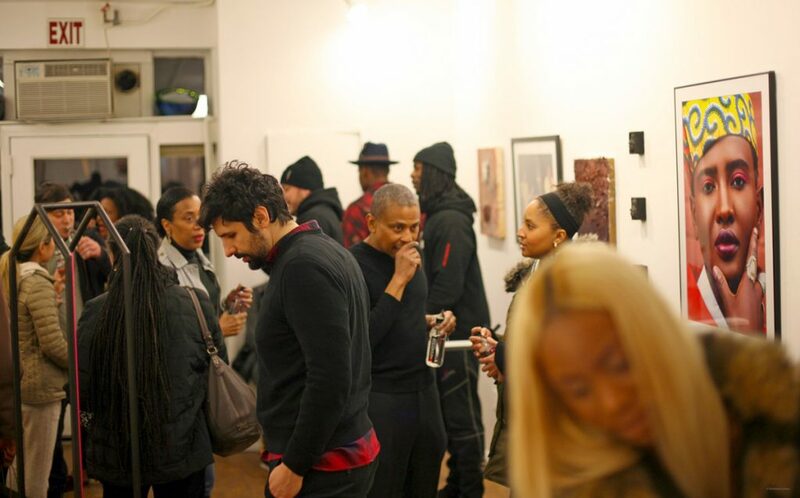 BAF Gallery Artist, Aaron Simms center. 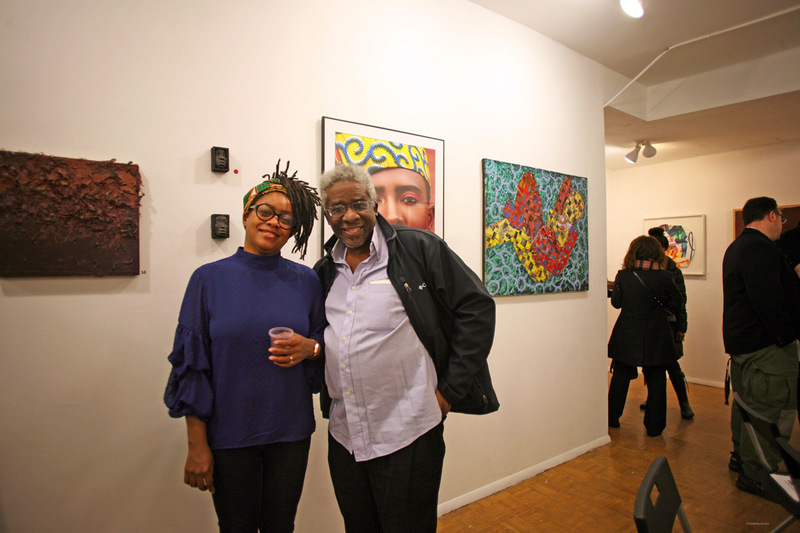 Patrick Eugene and Lamerol Gatewood.